They belong to the same family, look alike but serve different purposes. 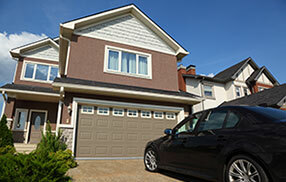 Garage door cables and safety cables have their similarities and differences but they are both equally important. They are just wires but their importance is tremendous - each for a different reason. 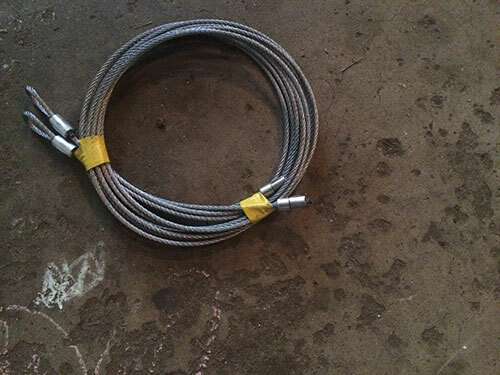 The truth is that regular cables are important garage door parts. There is no way to open the door without them. The garage door spring system will be missing a vital part without them. Does this mean that safety cables are not as important? The difference is that it's up to consumers to choose whether to install them or not. Though, as far as their significance is concerned, you can be sure that they are extremely important for your safety. They are not called safety cables by accident. The regular cables are essential parts of your overhead door. They are connected with the springs so that they can contribute to the lifting and lowering of the door. They wrap and unwrap around their drum and have the power to help springs move the door. They must never be either too loose or too tightened so that they will stay in their position. A garage door cable off the drum is of no use since the door will hardly open or it will sag. The safety cables look like the cables we all know. Though, they are used for garage door extension springs. They actually go through the extension spring. If the spring breaks, it won't sail around in your garage. The safety cable will keep it in place and that's extremely important for your safety. That's why it's essential that they are installed properly. You must connect the open end to the horizontal frame and as close to the door opening so that it won't bind. Then the cable must pass through the spring and the other end must be attached to the vertical frame where the spring is attached. This way, you can be sure that the springs at both sides are secured and you are safe.